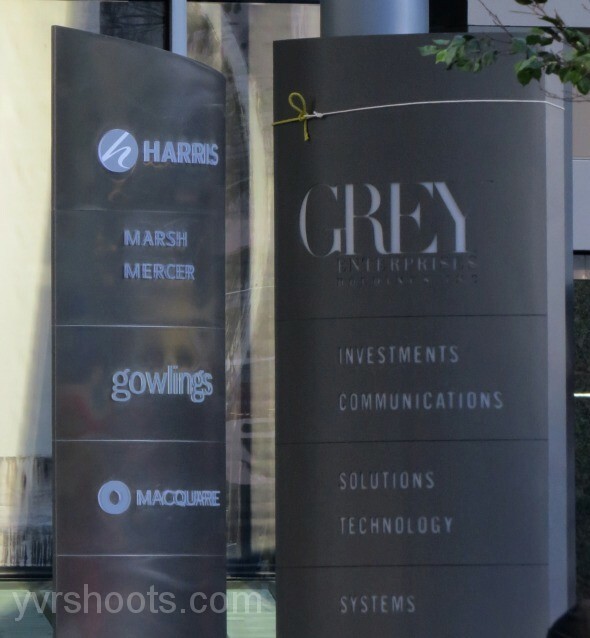 Fifty Shades of Grey crew dressed downtown Vancouver’s Bentall 5 tower today as Grey House. for filming on Sunday. We can expect to see at least one exterior scene of Seattle billionaire Christian Grey (Jamie Dornan) in spring judging from all the trees unloaded on set to hide the bare branches. Not much can be done about the bitter cold though. Hopefully there will be no long takes and crew will have warm coats standing by for cast and blankets for any backgrounders on set. Fake leaves clipped to bare branches outside the Cactus Club. Potted trees unloaded. Hope they survive the night.